It is fine to love and support your football team. I am a football fan myself, and I do understand someone’s affection towards a particular franchise. But sometimes, we tend to take it too far and do the things which do not present us in the best light. Sure, you can have a prop inside your car with your favorite team, or you can put a sticker. 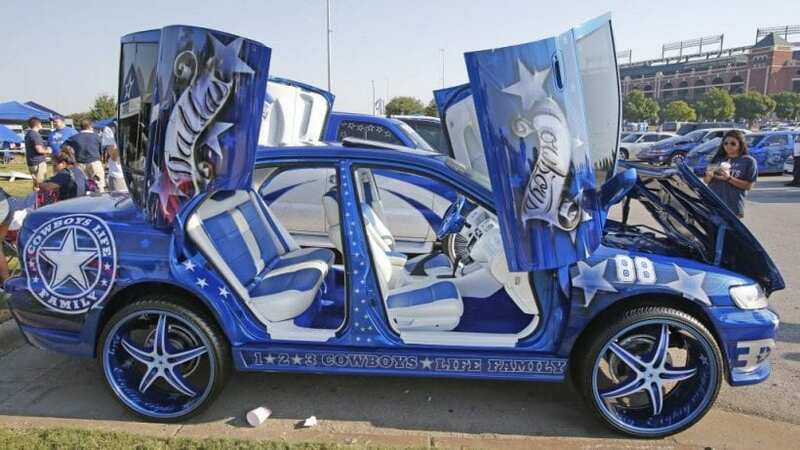 But to wrap the entire vehicle to show the world that you are a fan. Here are 12 NFL fans that went too far. This Pontiac is one of the best models you will find on the list. 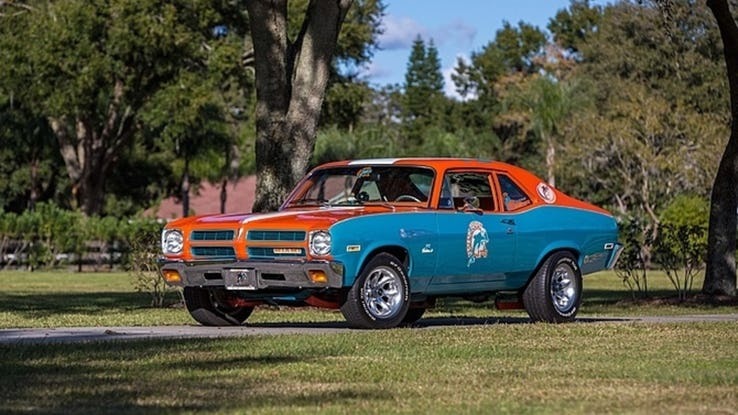 It is a muscle car and to cover it with the Dolphins colors, it kind of looks cool. With the bright colors, this Pontiac appears to be even more powerful than it actually is. Good job Dolphin fan!